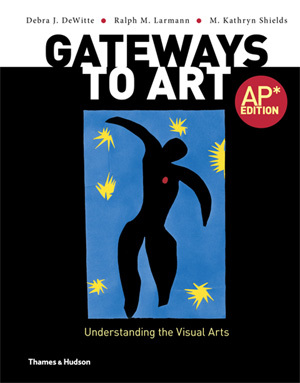 The new AP* exam’s free-response section demands a greater focus on the thematic and cross-cultural connections between diverse artists and works of art. 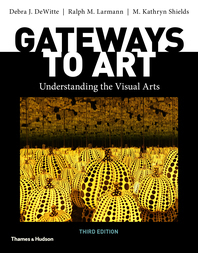 With its modular structure and exploration of the thematic, personal, and material connections that unite art, Gateways to Art enables students to start preparing for the AP* exam the moment they open the text. The sweeping revisions to the AP* exam require equally broad changes to the high school Art History syllabus. With a specially commissioned Curriculum Planning and Pacing Guide that includes class exercises and assignments, teaching commentary on every chapter of Gateways to Art, and information on, and advice for, teaching all 250 works of art identified on the AP* Image List, Thames & Hudson is there for teachers every step of the way. 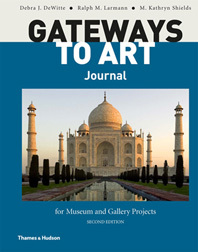 The AP* edition of the Gateways to Art Global Gallery features free online access to all 250 art images, as JPEGs and PowerPoint slides, that appear in the College Board’s new framework for the Art History exam, in addition to all 1,000 plus images in the book, along with 86 interactive exercises and videos, all created specifically for Gateways to Art. 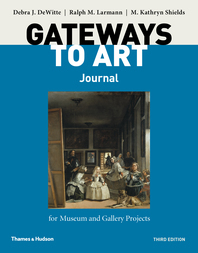 Debra J. DeWitte is an Adjunct Assistant Professor of Art & Art History at the University of Texas/Arlington. Ralph M. Larmann is a Professor of Art and the University of Evansville, Indiana. 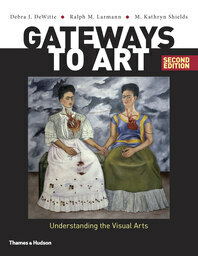 M. Kathryn Shields is an Assistant Professor of Art History at Guilford College, North Carolina.